HIT & RUN DAY at K1 SPEED! Head over to select K1 Speed locations to participate in HIT & RUN DAY. 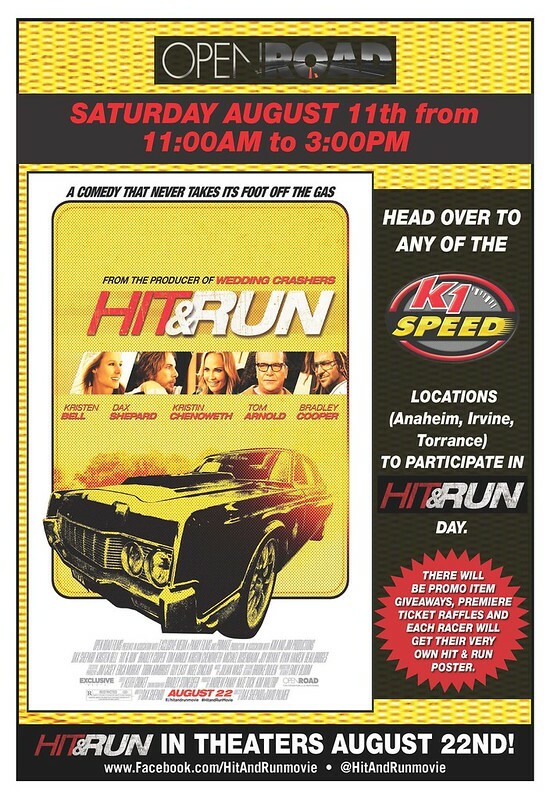 There will be promo item giveaways, premiere ticket raffles and each racer will get their very own HIT & RUN poster. At K1 Speed Anaheim look for the HIT & RUN standees for photo ops and receive your very own HIT & RUN wig (as seen worn by Bradley Cooper’s character in the movie). HIT & RUN IN THEATERS AUGUST 22ND!